East Anglia is the eastern corner of England that just out into the sea and includes the low lying flattish counties of Norfolk, Suffolk, Essex and Cambridgeshire. Although hills are rare, the countryside is attractive, the coastline is superb and offers many unspoilt and unsophisticated seaside resorts, marinas and river walks. All counties of East Anglia have their fens; low lying areas on the coast which are partly salt marsh and a haven for waders and other birds. Suffolk is known for its ancient churches, well preserved medieval market towns and antique fairs. - all beautiful, picturesque places where people love to stay. Many types of accommodation are represented including charming period cottages that Suffolk is famous for. 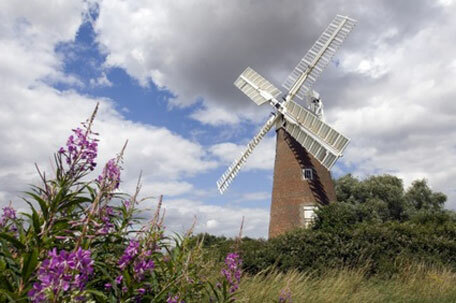 Essex lies nearest to London and is a county of contrasts, the south is an extension of London which gradually becomes less populated and leads up to Constable Country and lovely historic villages in north Essex. The cottages of Essex are quite lovely, many date back a century or more, are half timbered or pargetted - some thatched. It might be worth taking a look at the type of self catering cottage accommodation in Essex to obtain a glimpse of the accommodation available to rent for holidays. 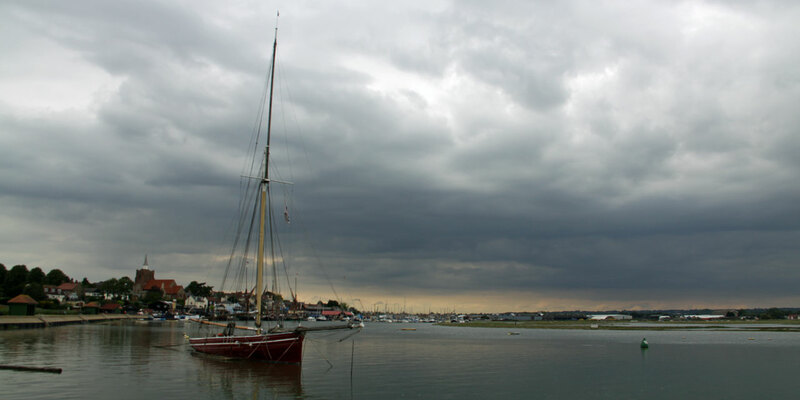 The lovely town of Maldon and its quayside with boats is shown above. Book a trip to sail along the Essex coast, spot seals at certain times of year. Maldon has much to offer families during the summer months, there is a large park with an outdoor water play area, sand pit, bouncy castles and amusements. Norfolk is a largely rural county. To the east are the waterways known as the Norfolk Broads where people come for canalboat holidays. Inland there are farms and pretty villages. Thetford Forest is a woodland area with way-marked trails for walking, cycling and horse riding; a natural outdoor playground. Cambridgeshire, again is very flat and ideal for cycling. Cambridge is a university town and people often visit to see the magnificent university buildings and to punt on the River Cam. There is also a very good shopping centre. We hope that you manage to book an attractive holiday cottage in East Anglia and have a truly unforgettable stay. May is a good time to visit East Anglia to walk through Bluebell Woods. English bluebells are highly scented and bluebells often carpet entire swathes of woodland. Come and visit antique centres, there is a large one in Battlesbridge near Chelmsford. Visit the numerous boot fairs in East Anglia for great bargains and antiques. A vast array of country pubs, restaurants and good places to eat await you on holiday. Add your email address to receive occasional details of special deals on Cottages for 2 and related couples events. We aim to bring couples some of the very best self-catering holiday cottages for two in various parts of the UK - cottage breaks and log cabin holiday for 2 to suit every pocket. We encourage holidaymakers to make full use of the feedback section on the site to give other couples your recommendation and a sense of what they can expect when booking our holiday cottages. ©2010-2018 Copyright cottagesleeps2.co.uk. All Rights Reserved.